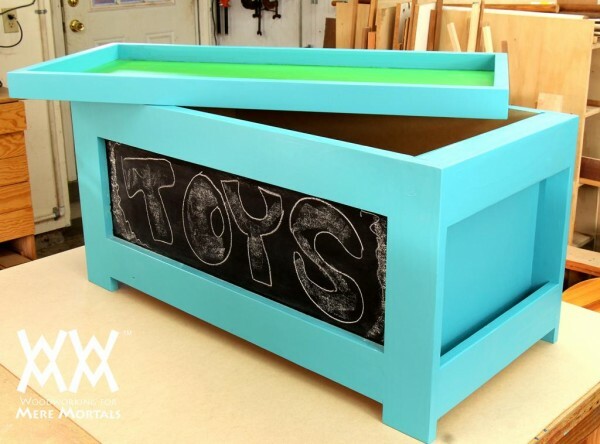 Because having options on any project (especially one designed as a build-along for charity) is a good thing, I wanted to share with you another very similar version of the toy box being built for the Woodworker’s Fighting Cancer campaign going on right now. Steve Ramsey of Woodworking for Mere Mortals has a version he posted the other day on his YouTube channel. It’s very similar, but as always, Steve puts his own twist on it and presents it as an alternative version to build. In addition, if you really want the actual chest you see Steve building, you can get in on the auction to purchase it. More details about that by visiting his webpage for the toy chest by clicking here. Regardless of which version you choose to build, the only important thing is that you get involved in one way or another. This year’s goal is to raise $15,000. I have all the confidence in the world that will happen and then some.